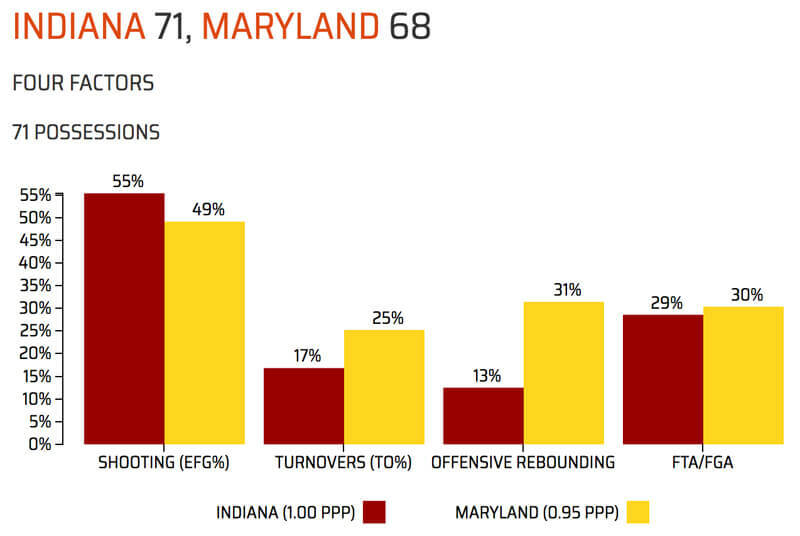 How it happened: For a half, it appeared Indiana and Maryland were on track to score in the 80s in a game where defense was optional. The Hoosiers entered the locker room with 42 first half points on the strength of 5-of-12 shooting on 3s and had just three turnovers. But IU led by just three at the break as Maryland was 5-of-10 from deep and scored 1.13 points per possession. The second half, however, was a different story. Offense stagnated for both teams. And buckets were hard earned on both ends. When Maryland jumped ahead 62-57 with 4:53 to play, it looked like Terps might snap their three-game road losing streak. But Indiana roared back with a 7-0 run in 89 seconds to grab the lead with 3:15 remaining. It was a lead that wouldn’t be relinquished as the Hoosiers picked up their fifth Big Ten win. Standout performer: Juwan Morgan, who went down in Friday’s loss at Michigan State with an ankle injury, was in the starting lineup and poured in a game-high 25 points in 36 minutes. No bucket was more critical than Morgan’s putback after a pair of missed Josh Newkirk free throws pushed Indiana’s lead to three with 36 seconds remaining. 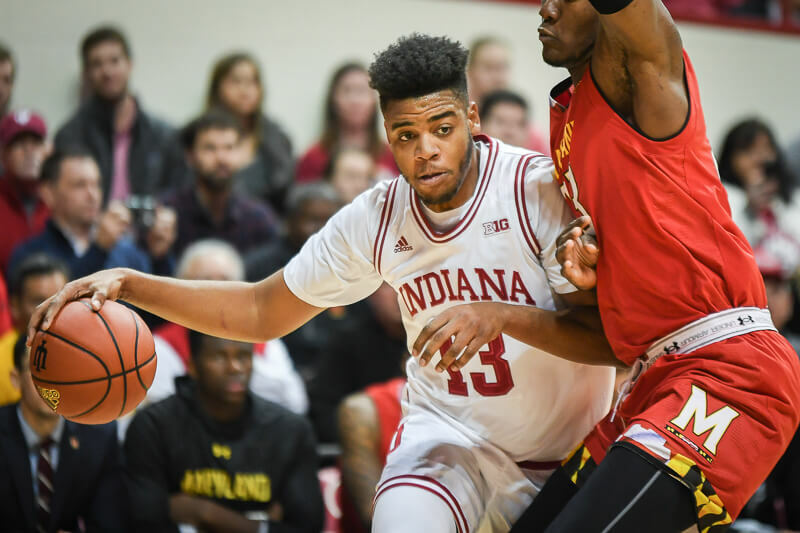 Statistic that stands out: For the fourth time in eight Big Ten games, Indiana held its opponent to under a point per possession as Maryland scored just .95 points per trip. The Terps managed just .78 points per possession in the second half. I’m glad this IU team can actually close out some wins. In prior seasons, I almost expected IU to collapse on itself if it was a close game after the final tv timeout. No more!